Kathleen is a member of the IBI Board and Chair of IBI’s Information Hub. She is also the US Director of the Ithaka Institute for Carbon Intelligence. The Institute is an open source network focusing on beneficial carbon sequestration strategies which simultaneously provide economic development opportunities both in the developed and developing world. She is an editor and writer for The Biochar Journal, sponsored by the Ithaka Institute. Kathleen also works with various different universities and individuals on projects that are investigating the use of biochar in cement and other building and packaging products to develop products with lower embodied carbon which can be made from locally available organic waste. 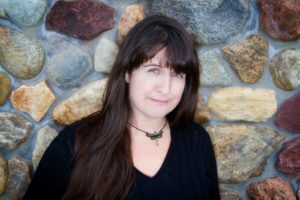 She has written extensively about various topics related to biochar and is a co-author of the book “Terra Preta: How the World’s Most Fertile Soil Can Help Reverse Climate Change and Reduce World Hunger”.